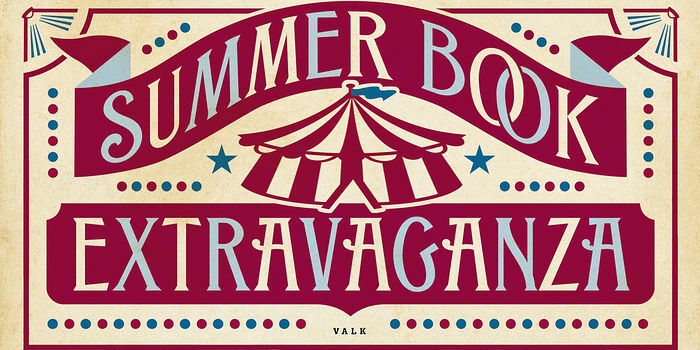 To stand out online, publishers push book designers for brighter, bolder covers. The hot color of the moment? Yellow. Amazon’s sway in the publishing world now extends to even the design of books themselves. The company now accounts for about 45% of all books sold in the U.S., according to Peter Hildick-Smith, president of industry researcher Codex-Group, LLC. As Amazon’s importance as a bookseller has grown, publishers are pushing their designers for brighter, bolder covers that pop for online shoppers. That has led to a spate of brightly colored book jackets, with blaring yellow covers now appearing in profusion. “There’s a kind of maximalist attitude toward color, I think mainly because we operate from the fearful assumption that no one’s going to look at the book unless it’s screaming at you,” said Peter Mendelsund, associate art director at Knopf and the author of “Cover” and “What We See When We Read.” In 2008, he used Pantone 803, fluorescent yellow, for Stieg Larsson's "The Girl with the Dragon Tattoo," setting the novel apart from the traditional dark hues of thrillers. “Everything gets simplified to what the eye can see at one inch. That can be the size of the graphics, the colors, the amount of detail,” said Robbin Schiff, executive art director at Random House. Color contrast makes a cover pop, but the highest-contrast combination—black and white—can be a turnoff for publishers, who worry that without color, the book won’t stand out. White covers in particular recede against the white backgrounds of Amazon and other online retailers. But yellow jumps off online pages and it can support both dark and bright type and graphics. Also, it carries no gender association and can signify anything from sunshine and optimism to a danger warning, making it a strong choice for a variety of genres and topics. “A designer will do what they think works, and then we’ll present it, and if it happens to be on white they’ll say, ‘Oh, can we see it on a color?’ Rather than change the whole design, it’s simpler to go ‘OK: yellow,’ ” Ms. Schiff said. The eye-catching jacket of Marion James's "A Brief History of Seven Killings," which won the 2015 Man Booker Prize, was a leader in the recent invasion of yellow covers. 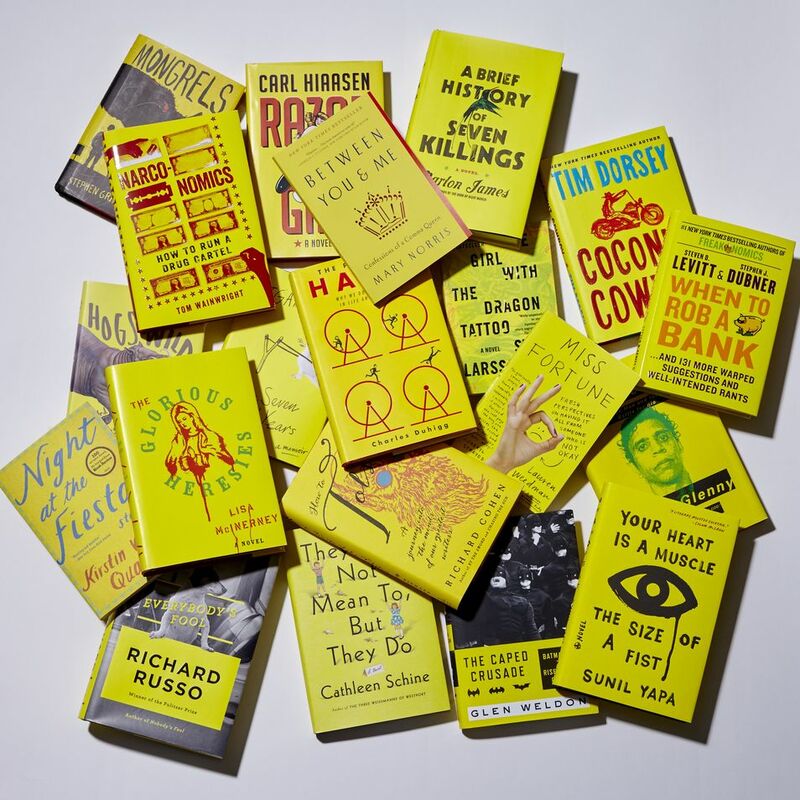 This year, disparate works like Sunil Yapa's literary novel “Your Heart is a Muscle the Size of a Fist,” Tim Dorsey’s serial-killer comedy “Coconut Cowboy” and Lauren Weedman’s memoir “Miss Fortune” all have come jacketed in straight 100% yellow, the most basic yellow in printing ink. Ms. Schiff used Pantone 108, a yellow warmed with a hint of magenta, on Charles Duhigg’s 2012 nonfiction best seller, "The Power of Habit," an early boost to yellow’s recent popularity. Random House just published the author’s next book, “Smarter Faster Better,” but felt he couldn’t own yellow anymore. The publisher opted for neon orange.